REDUCED FROM / TO Labels - 40mm dia. 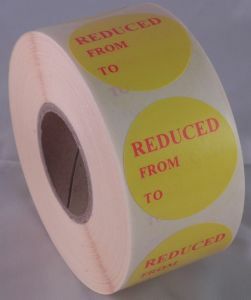 Quick and easy to apply Reduced From / To promo labels for most retail environments. Maximise your on shelf promotions by highlighting any special offers / discounts with these REDUCED From / To promotional labels.